BUT THOSE GIVING MORE. -H. Jackson Brown, Jr. 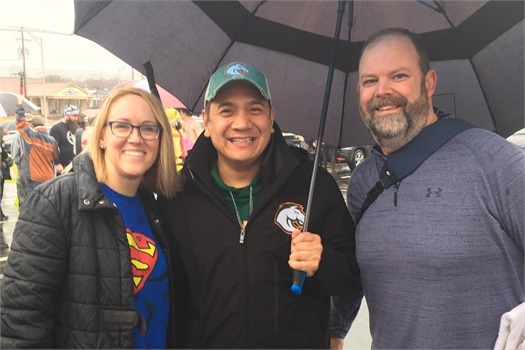 Team CWM accepted the polar plunge challenge in support of Special Olympics in 2018. Plunging into the frigid waters on a chili Saturday in February was exhilarating and yes, challenging. But, we did it! Want to join the Cornerstone Wealth Management team next year, create your own team, or take the plunge yourself? We double dog dare you! 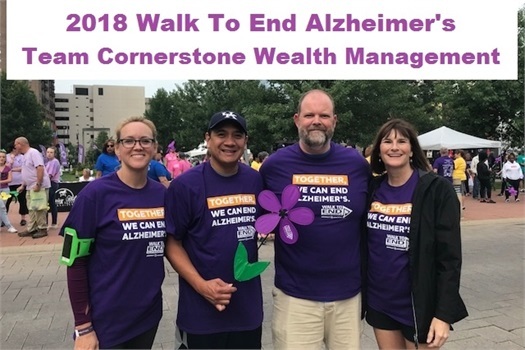 Team Cornerstone Wealth Management participates in the Alzheimer's Association's annual Walk to End Alzheimer's. This cause is near and dear to Erich and his family as his mother-in-law and her family experienced Alzheimer's for over ten years. We invite you to join our team and help us raise money for a worthy cause! . 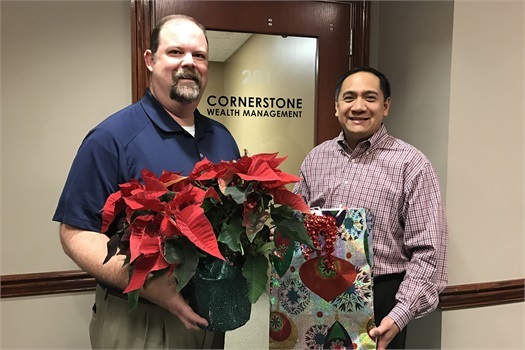 Each Christmas, Cornerstone Wealth Management looks forward to participating in the Silver Bells gift giving program, organized by the Nursing Home Ombudsman Association of the Bluegrass (NHOA). NHOA’s mission is to improve the quality of care for residents of long-term care facilities. Too many nursing home residents do not receive Christmas gifts and it’s always a pleasure for CWM to give gifts to nursing home residents via the Silver Bells program. If you are interested in gift giving contact NHOA at 859 277-9215 or drop off a wrapped gift to our office the first week in December. Erich volunteers his time to share his finance knowledge and teach high school students about the importance of managing their finances. 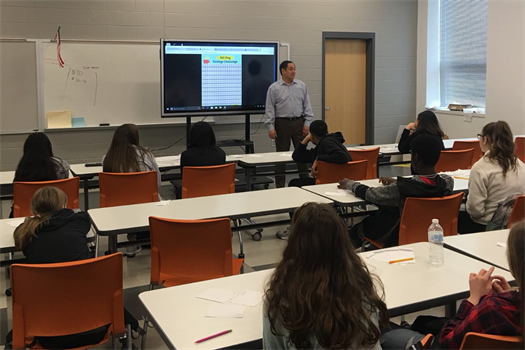 Erich spends a day speaking to students at Frederick Douglas High School about budgeting, credit, income taxes, car loans, living costs, saving, and more. Preparing our kids for the future and arming them with information and skills that can lead to their success as financially responsible adults is important to Erich. 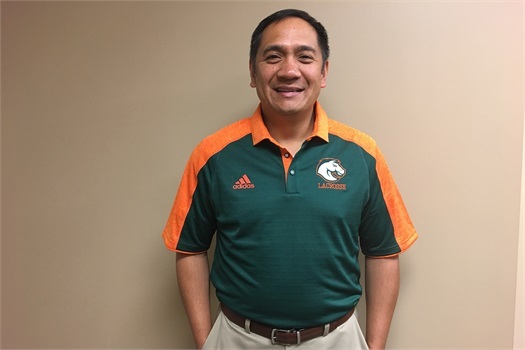 Cornerstone Wealth Management sponsors and supports the Douglass High School boys lacrosse team and Erich Castillo is proud to be called Coach Castillo. As head coach of the FDH boys lacrosse program, Erich graciously gives his time and efforts to raise money for the program and is a mentor to a great team of young men, including his son. 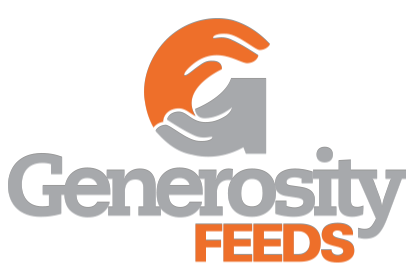 On NOVEMBER 10, 2018 CWM is an Event Sponsor and we are volunteering with Generosityfeeds! Generosity Feeds is a national non-profit, focused on making an impact in child hunger in communities across America. They bring businesses, churches, schools, community groups, and community members together to package Rice and Beans meals that go directly back into the local community. CenterPointe Christian Church is excited to bring Generosity Feeds to Lexington to package 10,000 meals for children in our community. CenterPointe Christian Church distributes the meals. This is a collaborative city-wide effort and we hope you’ll join us! ❏ Register yourself, friends, family or office to serve.